If you thought Belgium was all about beer and chocolate, you'd of course be right, but you may be surprised to learn that Belgium is also the home of one of the worlds most successful music production applications - FL Studio. Image-Line was founded in 1994 and has since grown steadily due to the constant popularity of not just FL Studio, but also advanced plug-in tools like Vocodex, Maximus and Harmor. Image-Line is the only MI software company to offer free life-time upgrades for its DAW once a licence has been purhcased. What's not to love? FL Studio 12 is a complete software music production environment or Digital Audio Workstation (DAW). Representing more than 18 years of innovative developments it has everything you need in one package to compose, arrange, record, edit, mix and master professional quality music. 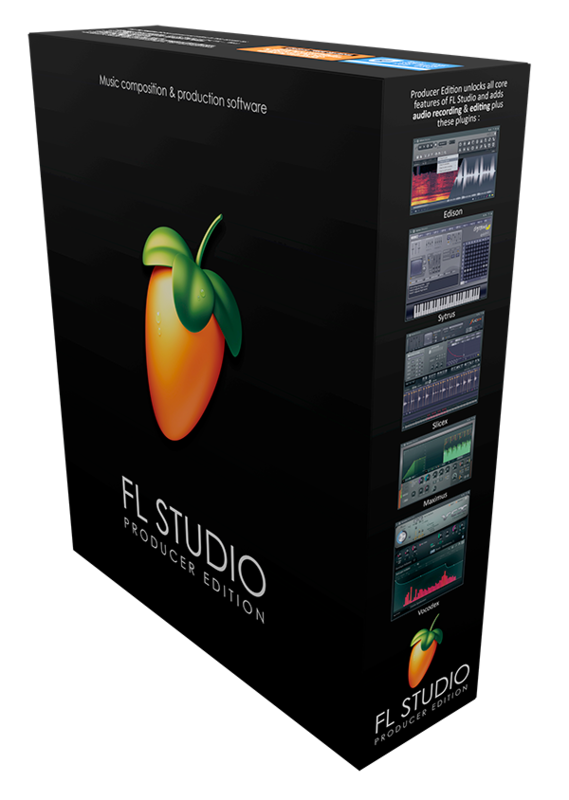 FL Studio is now one of the world’s most popular DAWs and is used by the most creative artists. Buying FL Studio not only gets you the latest version but all future FL Studio updates free. Image-Line believe you should have the functionality you paid for, bug-fixed, developed and updated for as long as FL Studio is being developed. With version 12 you get a fully reworked, 100% scalable interface that will fit any screen size, resolution or number you use. If you own a touch-screeen, you'll appreciate FL Studio's Multi-touch capability, which even extends to the Mixer. The Browser has also been reworked and now features new category tabs and the ability to delete content on right-click. The Piano roll is one of FL Studio's strong suits with features such as individual bending of notes and simple and straight forward MIDI CC editing. But long-time users also appreciate the Patcher, which truly allows your creative juices to flow bu letting you build your own multi instruments and effects for use in your productions. The Playlist has been updated so it is now possible to drag'n'drop multiple audio files onto it, greatly enhancing working with multitracked audio such as backing vocals or drums. The Step Sequencer makes creating patterns from sracth very siple and intuitive, even if you've never toudched a musical instrument before. And since version 12, step sequences are now interchangeable with Piano Rolls for even greater flexibility and control. FL Studio ships with hundreds of copyright free samples so you can begin creating right away. There's also a great selection of virtual instruments included (check which are delivered with the various editions of FL Studio in the comparison chart), and of course FL Studio talks to 3rd party VST plug-ins as well. Speaking of which, the VST plugin installation & discovery process has also been improved and simplified. Many of FL Studios plug-ins have been overhauled for version 12 including Fruity Formula Controller which has a redesigned new UI, Fruity Envelope Controller which now features 8 Articulators, Mod X/Y env, Smart Knobs, and a new UI, and Fruity Keyboard Controller which has seen the addition of Attack smoothing besides the graphical overhaul. Fl Studio now also features Real-Time Time Stretching in the Sampler and for Audio Clips. This mode allows for real-time, independent tempo and pitch variations.